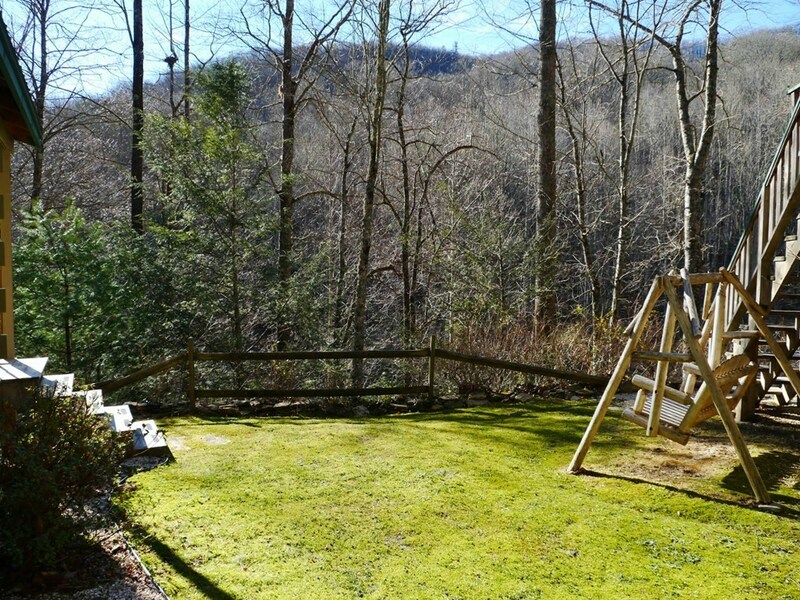 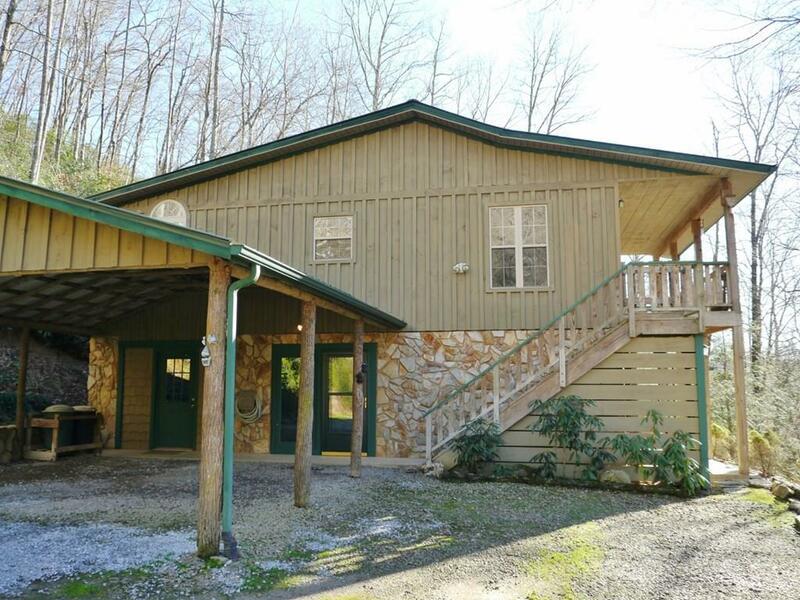 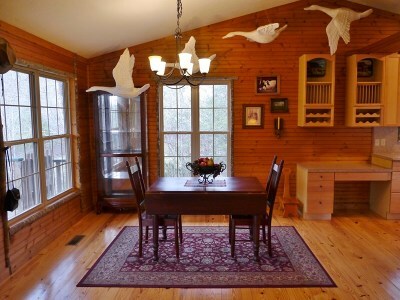 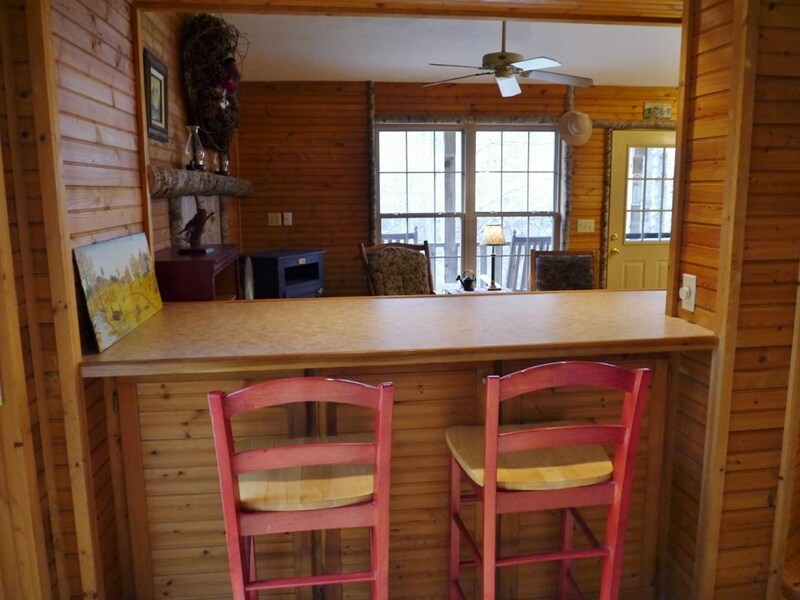 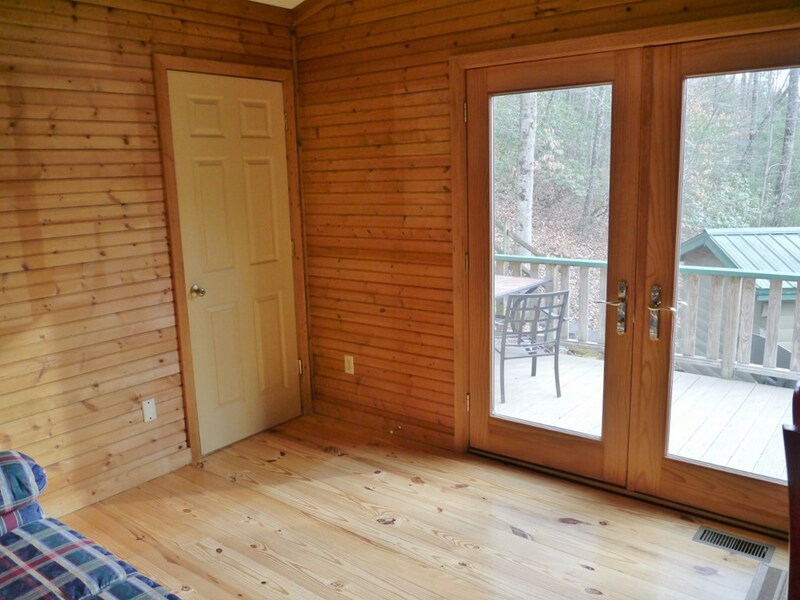 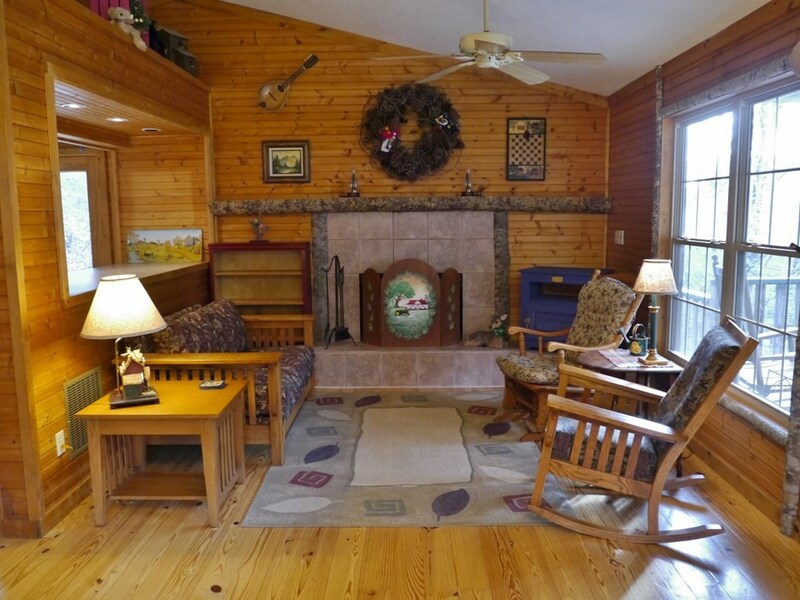 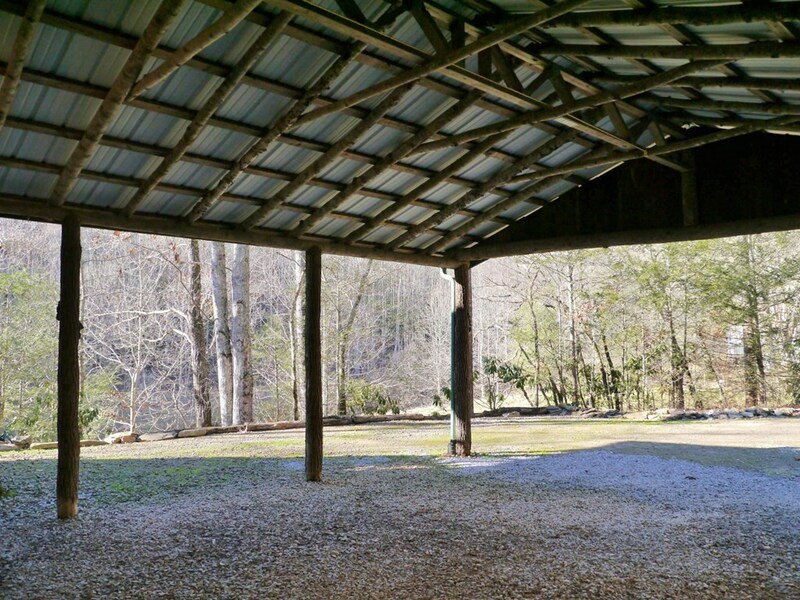 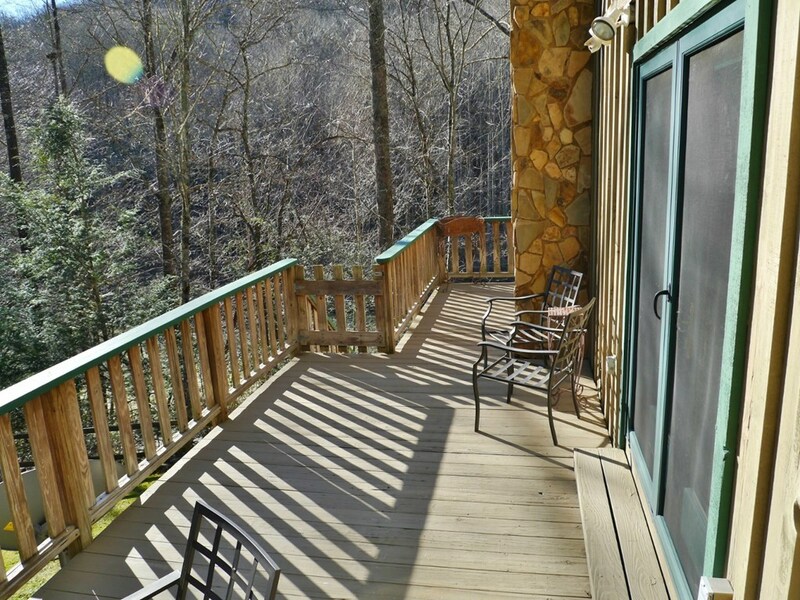 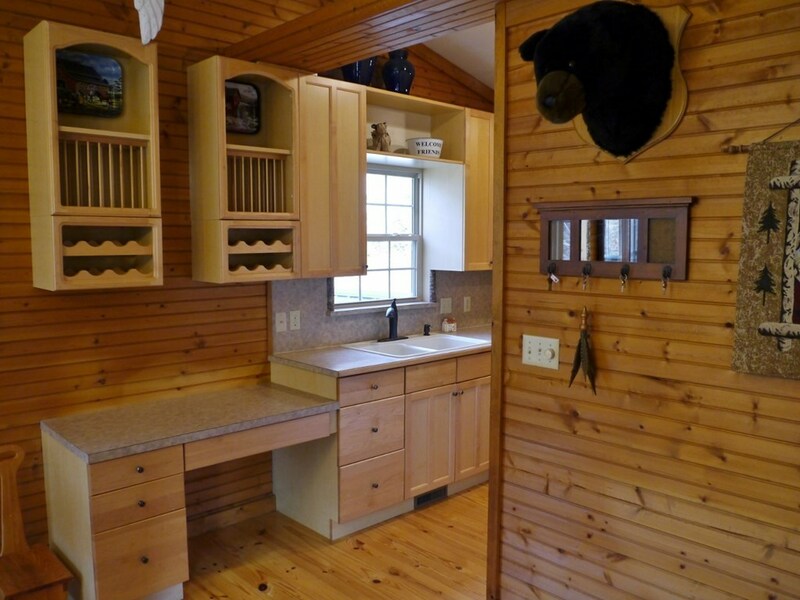 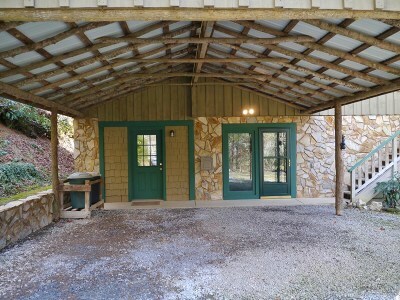 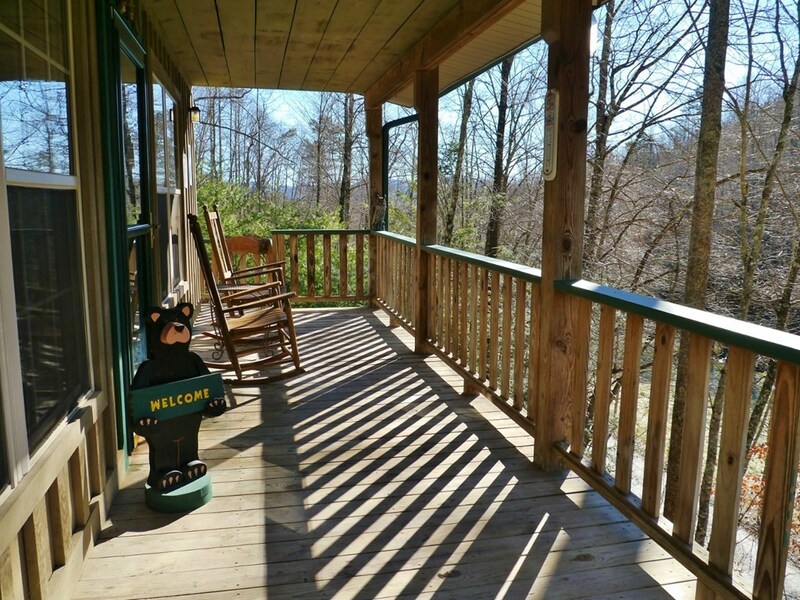 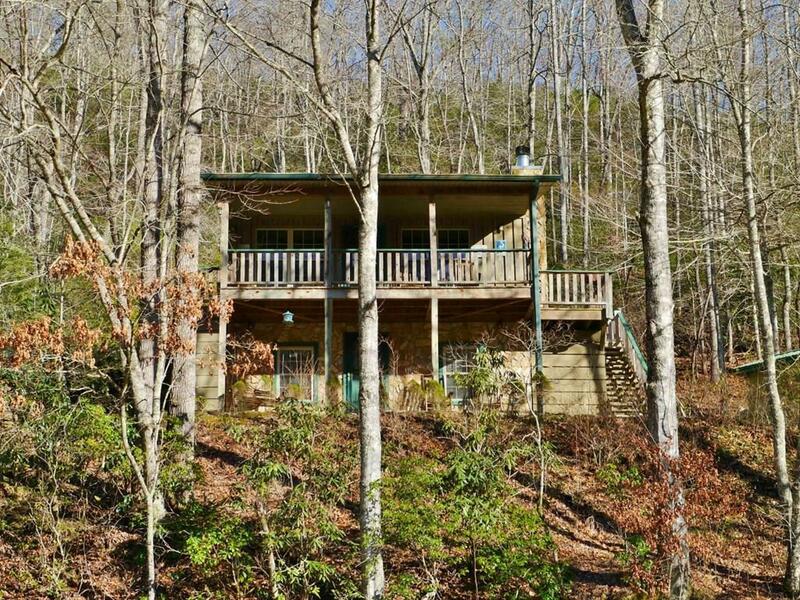 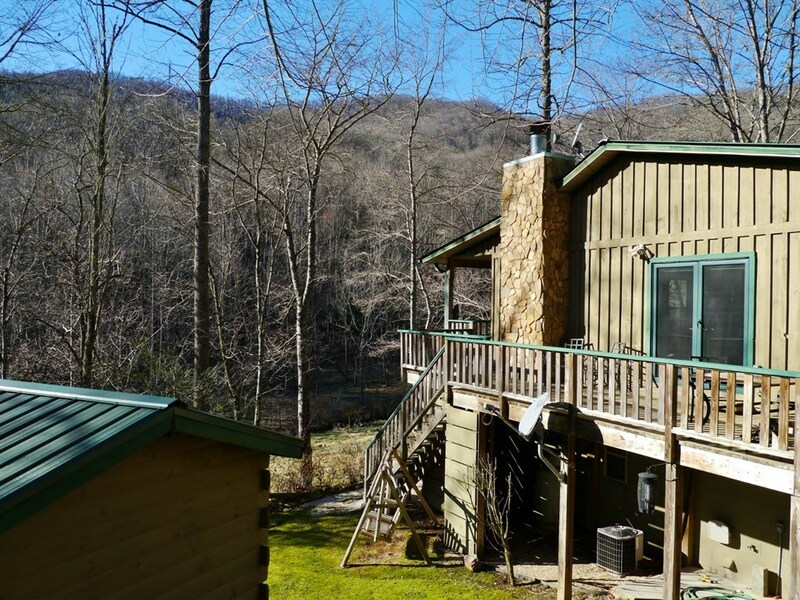 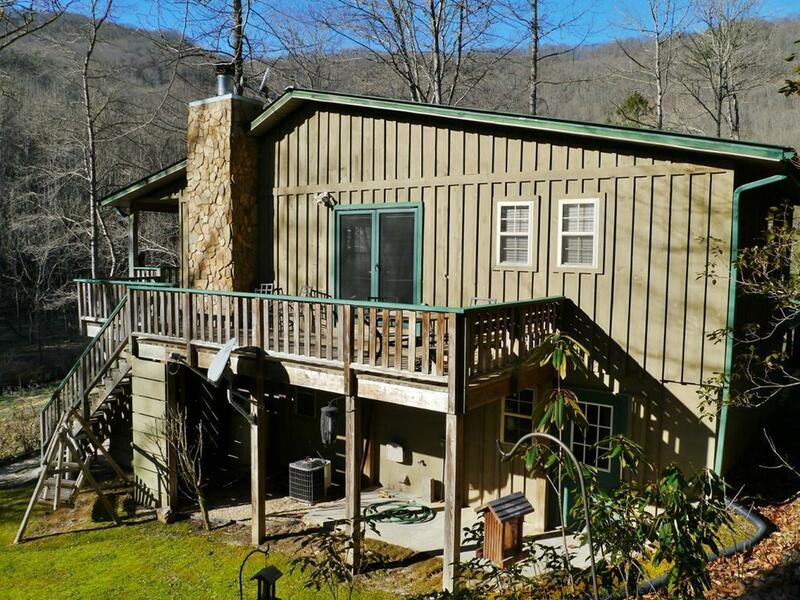 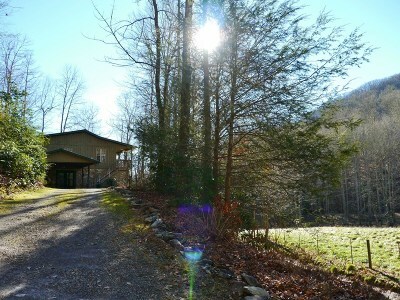 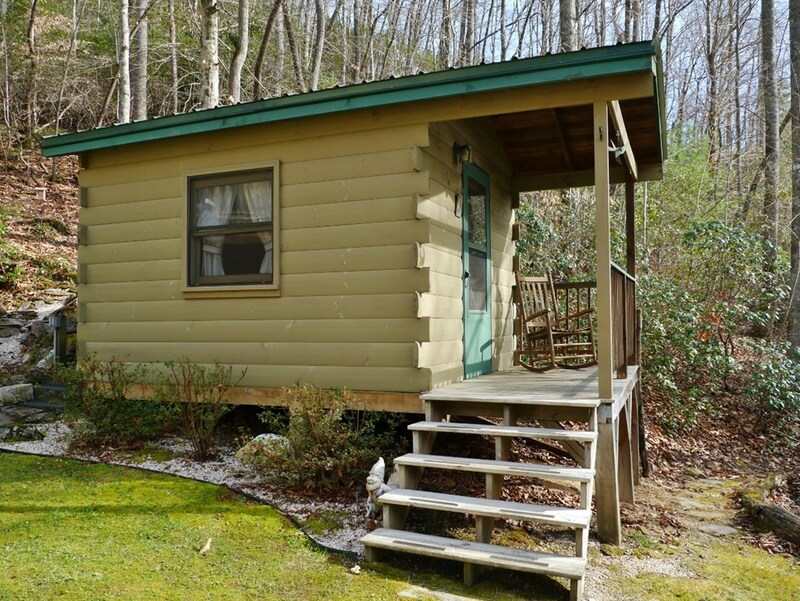 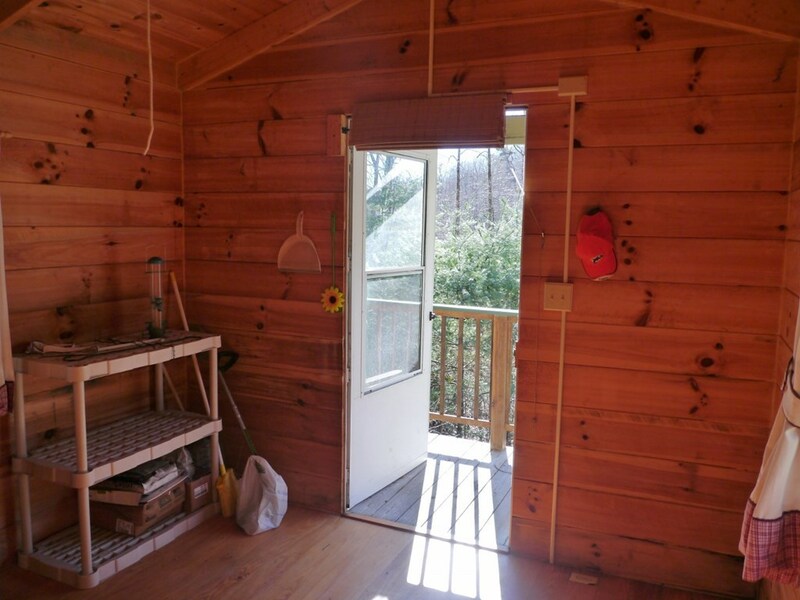 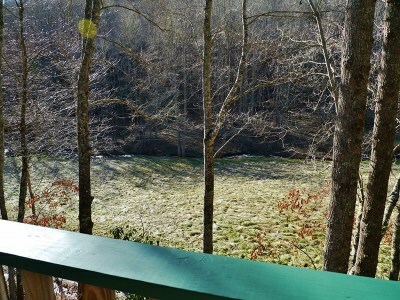 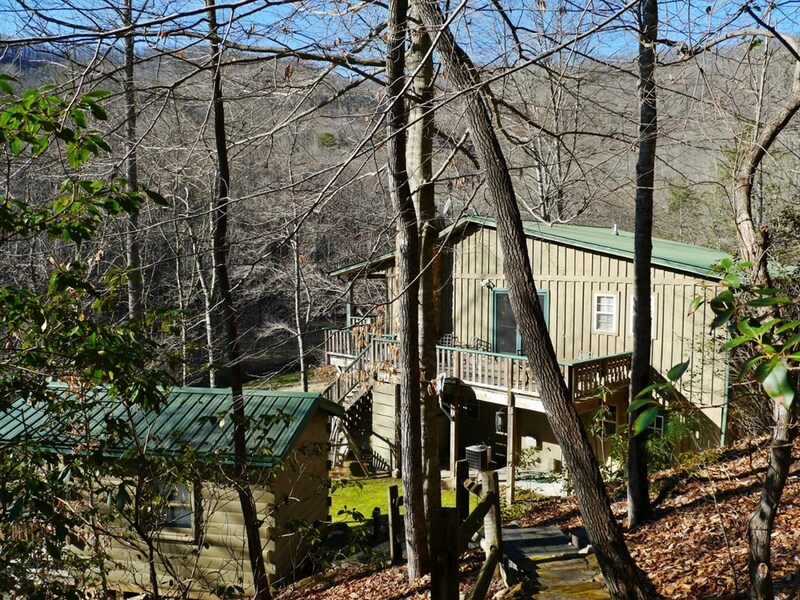 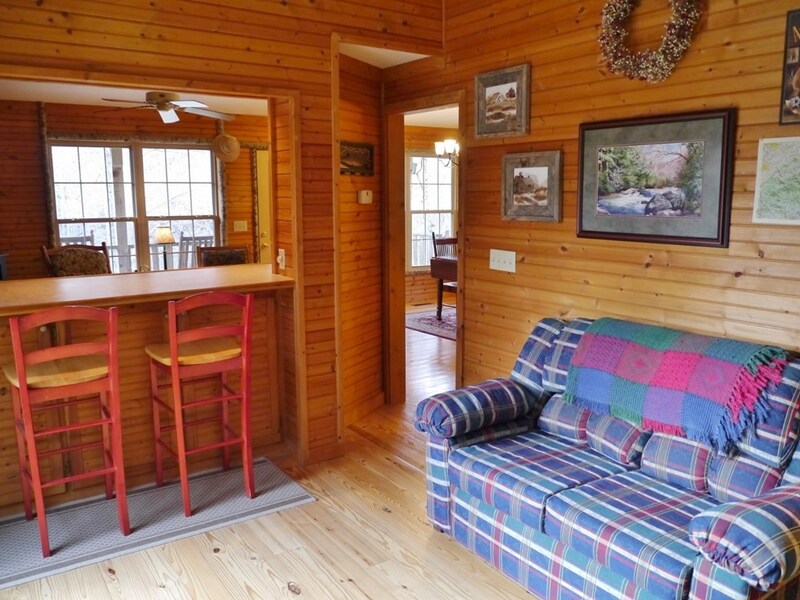 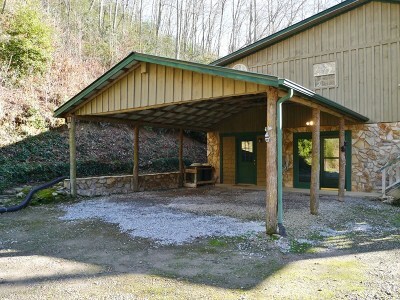 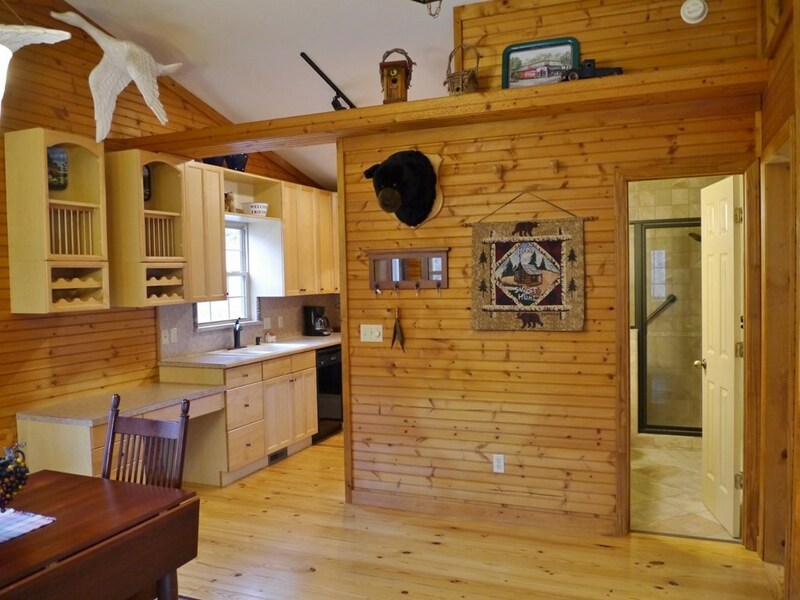 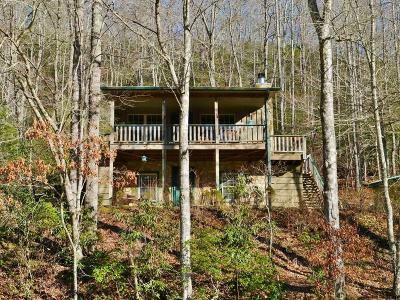 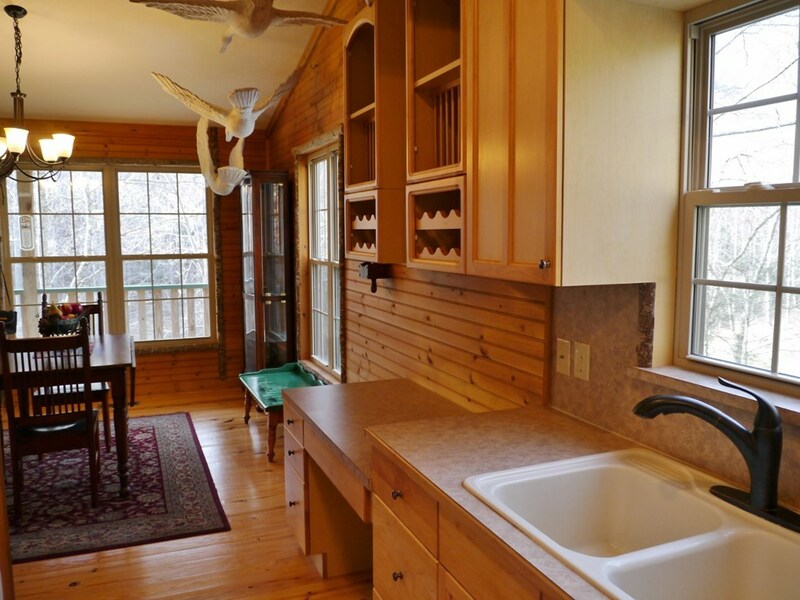 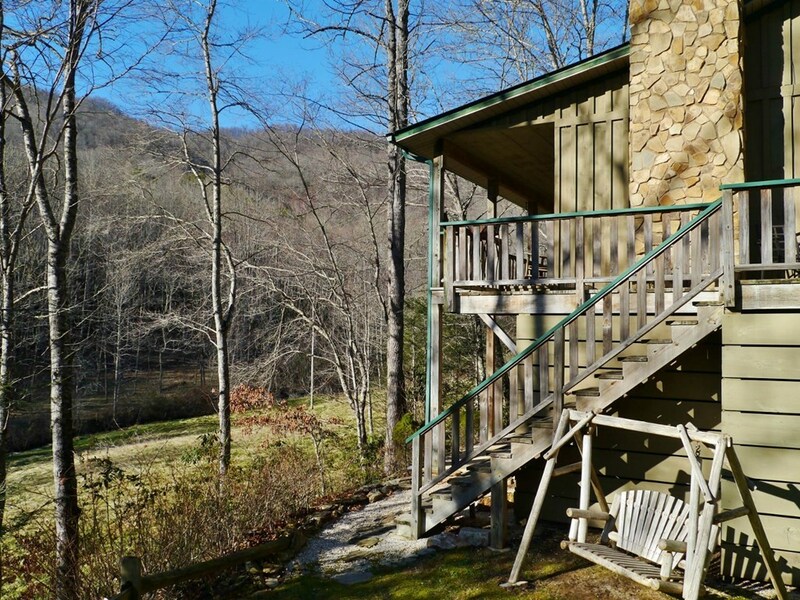 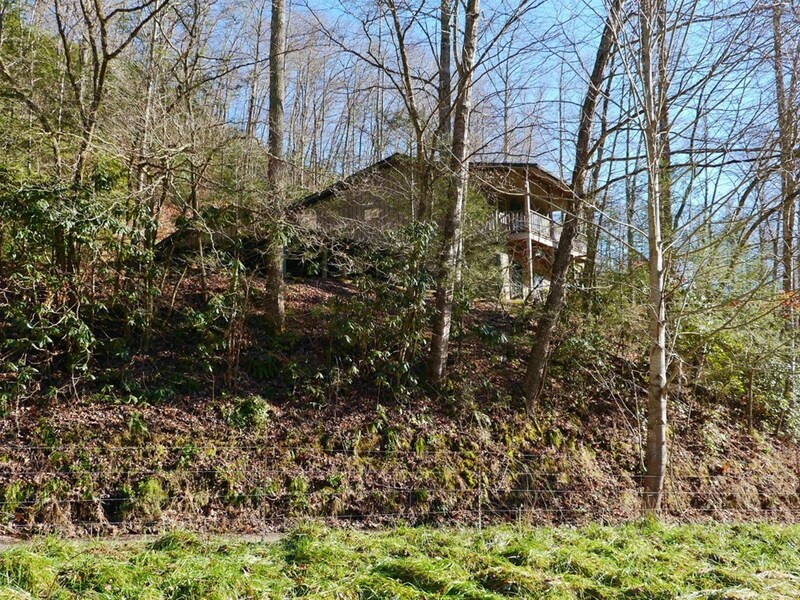 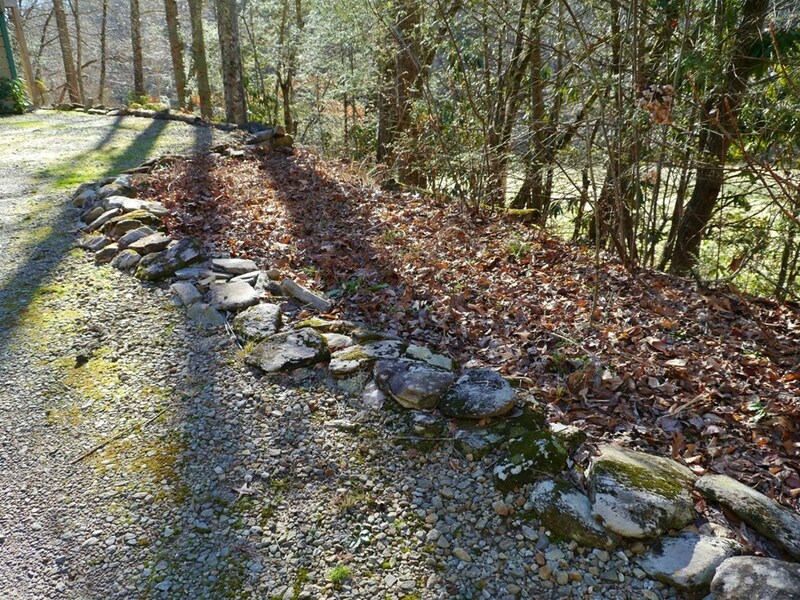 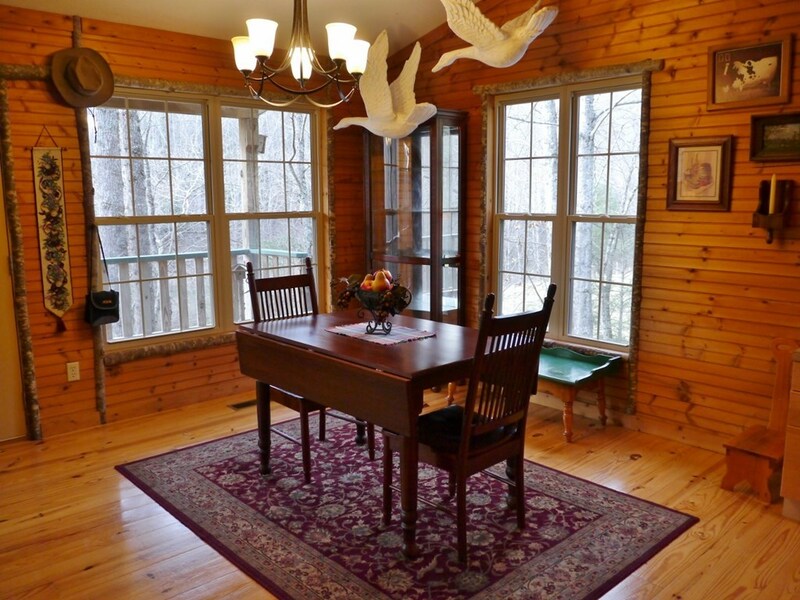 Rustic, like-new cabin on 9.52 wooded acres, located between Franklin & Bryson City and convenient to the Nantahala Outdoor Center, Cherokee, AT & Little Tenn River. 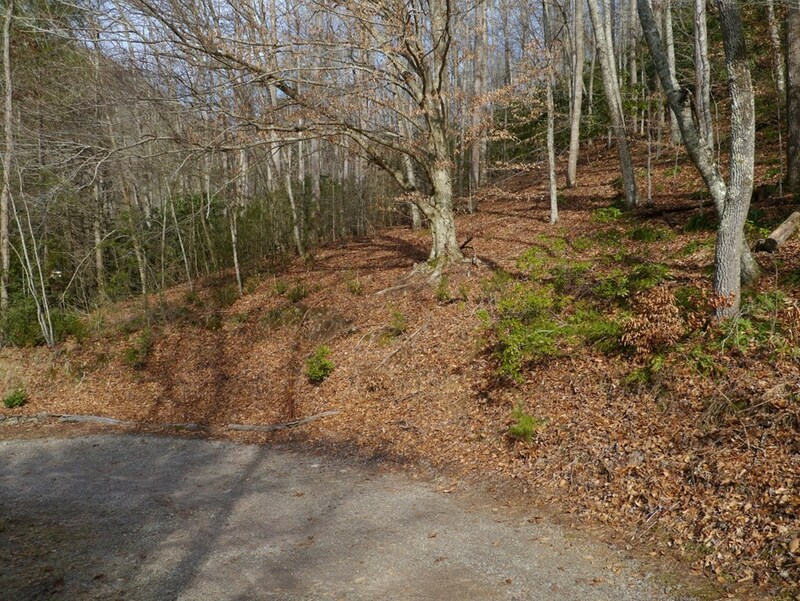 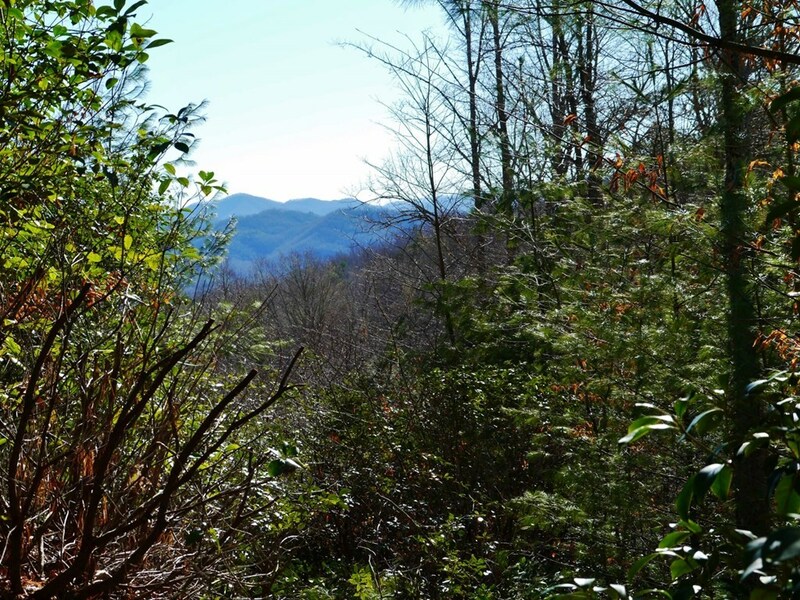 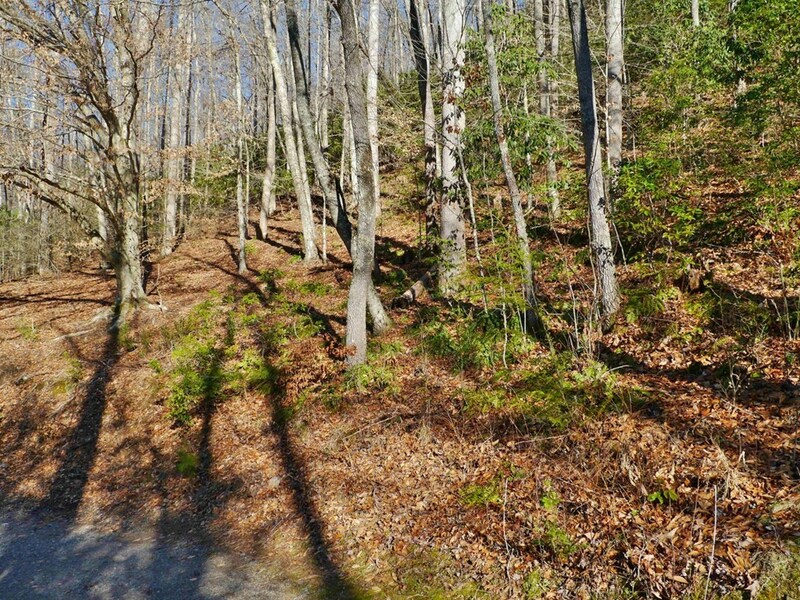 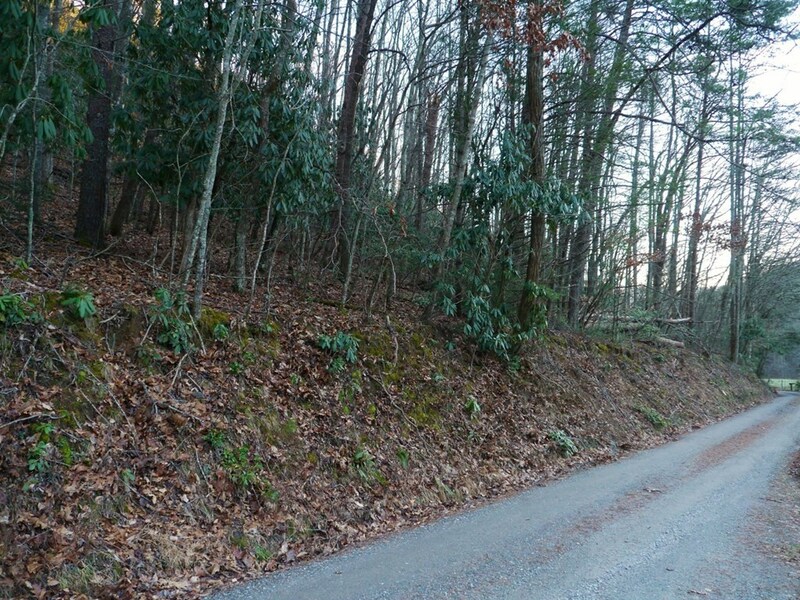 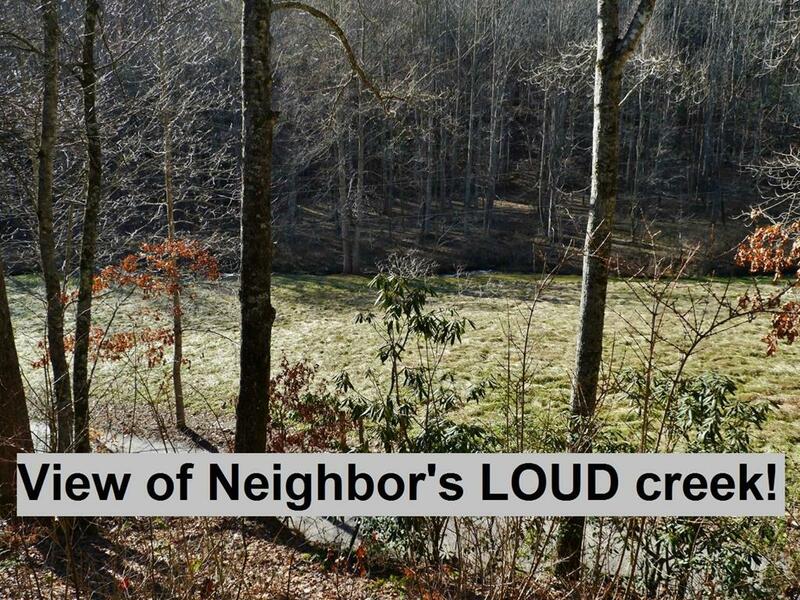 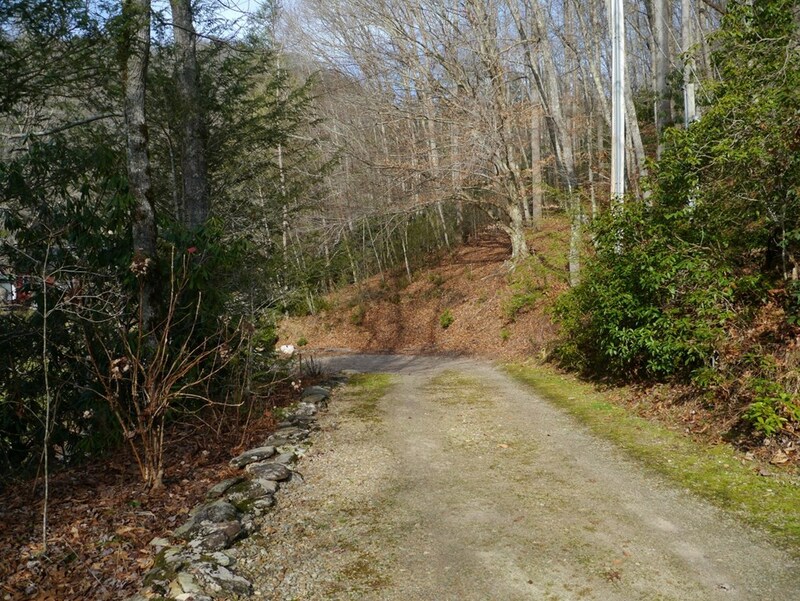 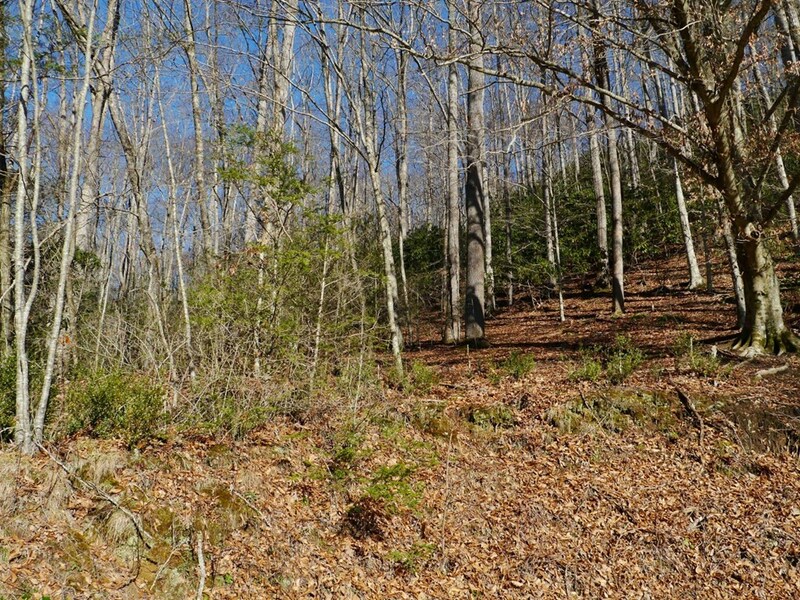 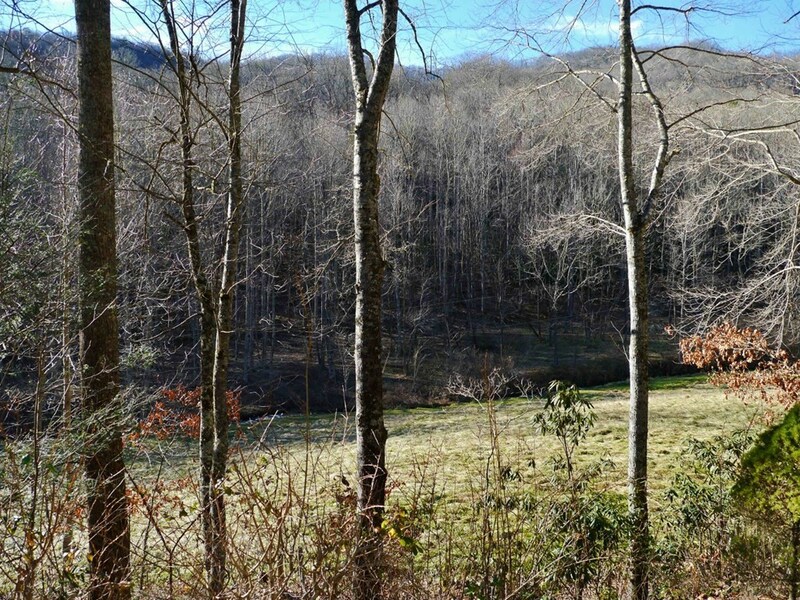 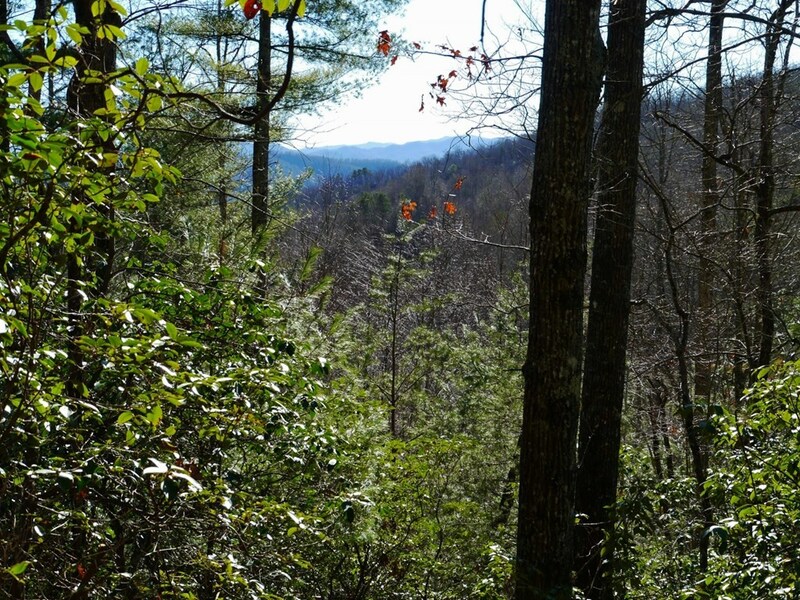 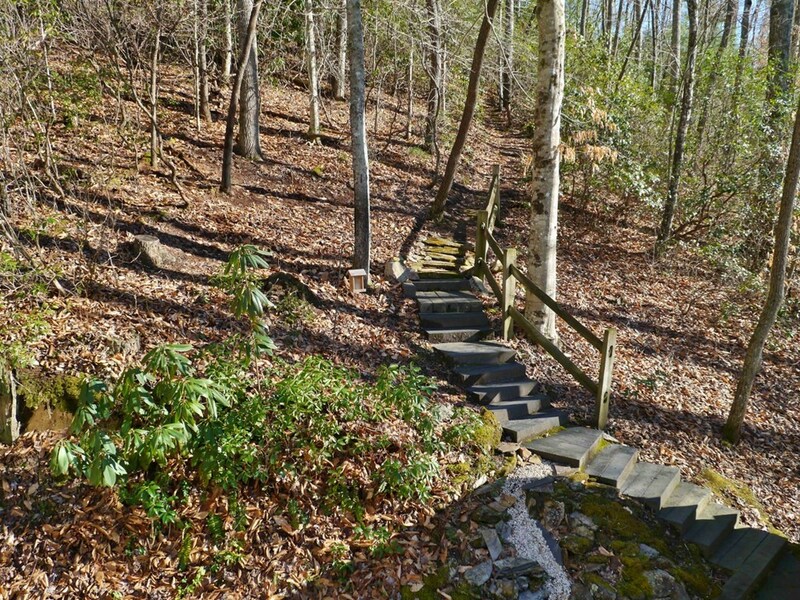 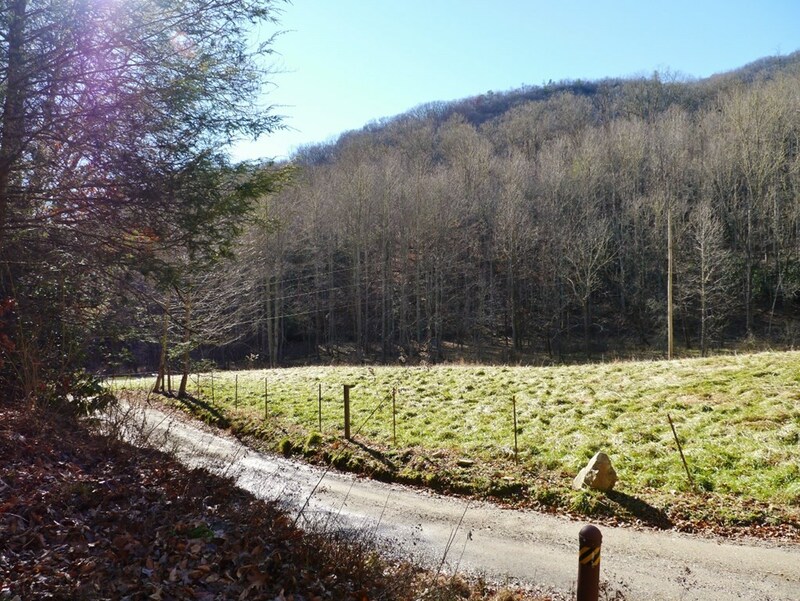 Property fronts 1,000+ ft of state-maintained gravel road and has multiple home sites, replete with wild flowers, mountain laurel, rhododendron & wildlife. 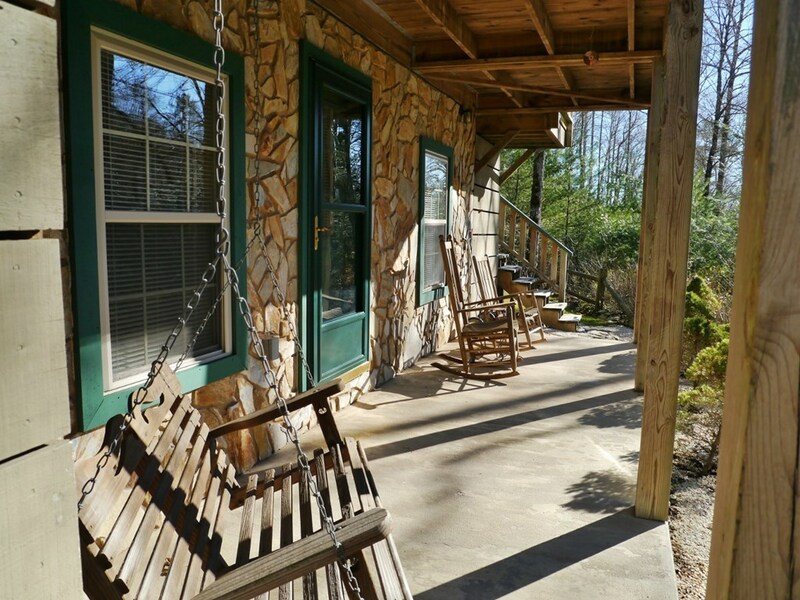 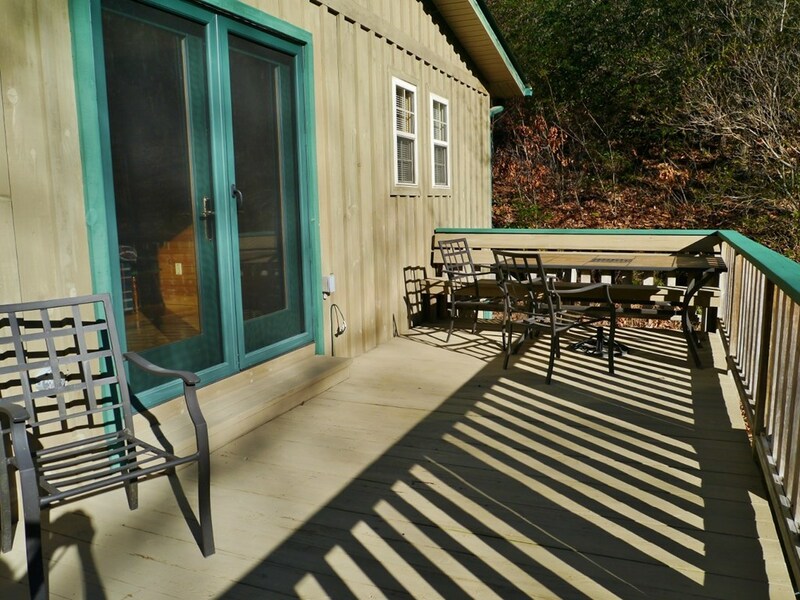 Rock away your cares as you listen to neighboring Lakey Creek from the covered front porch. 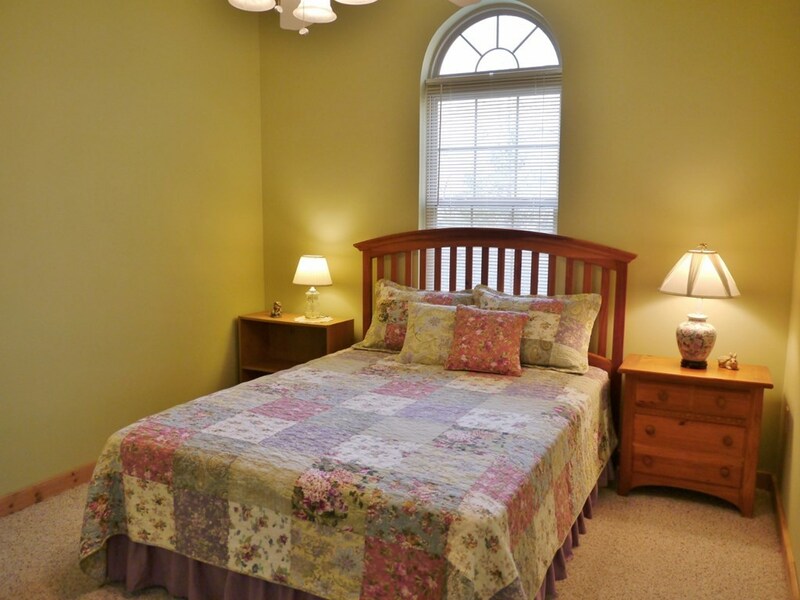 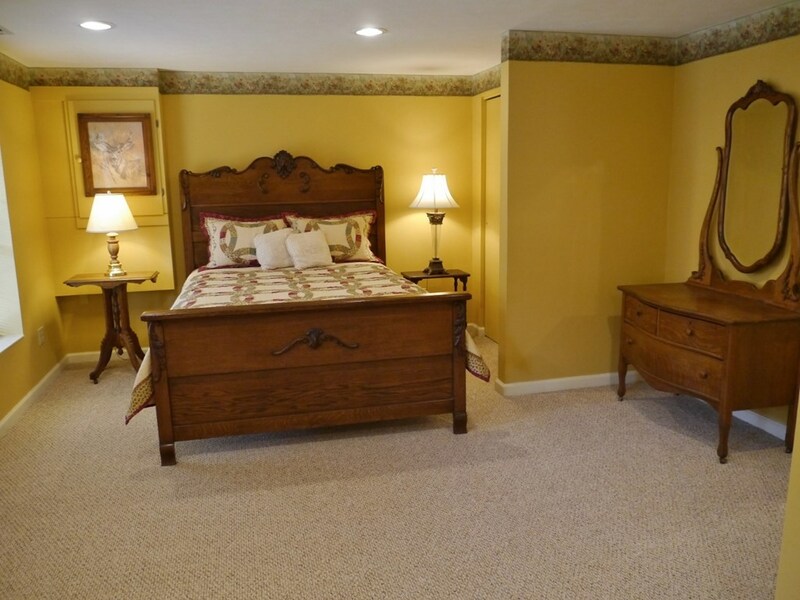 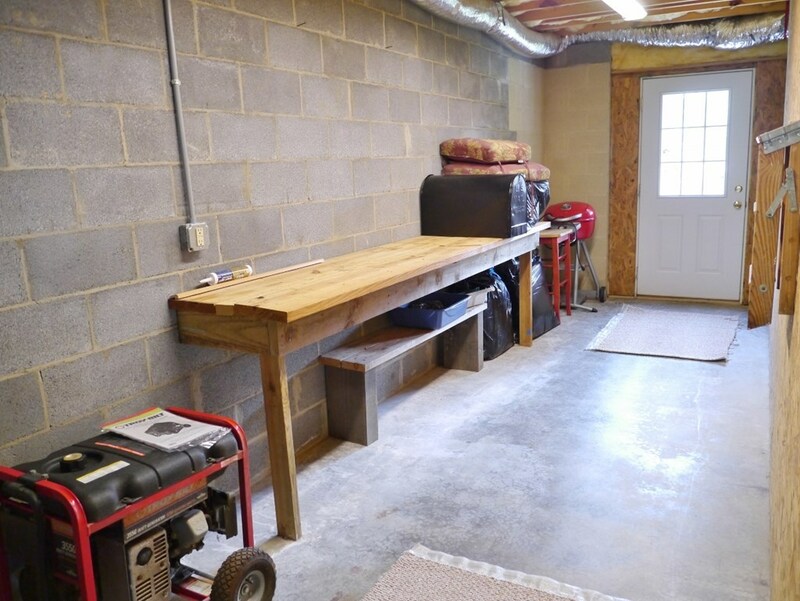 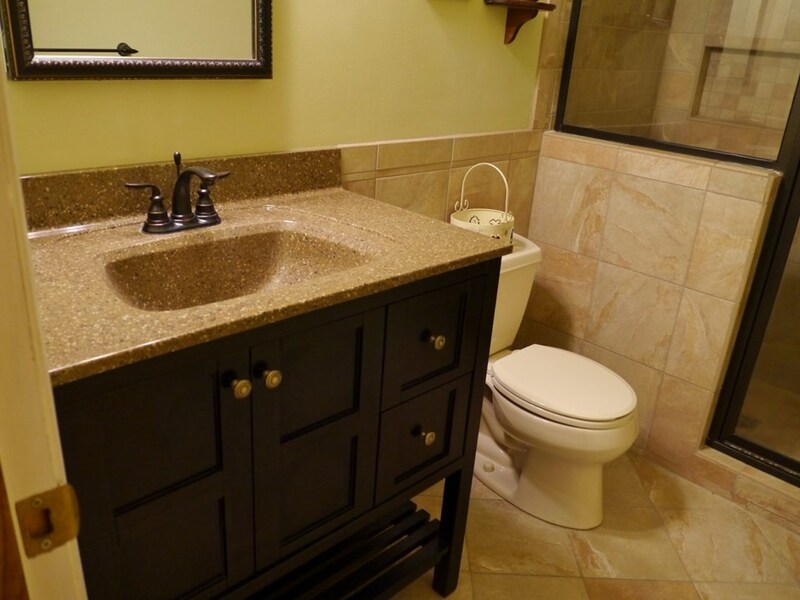 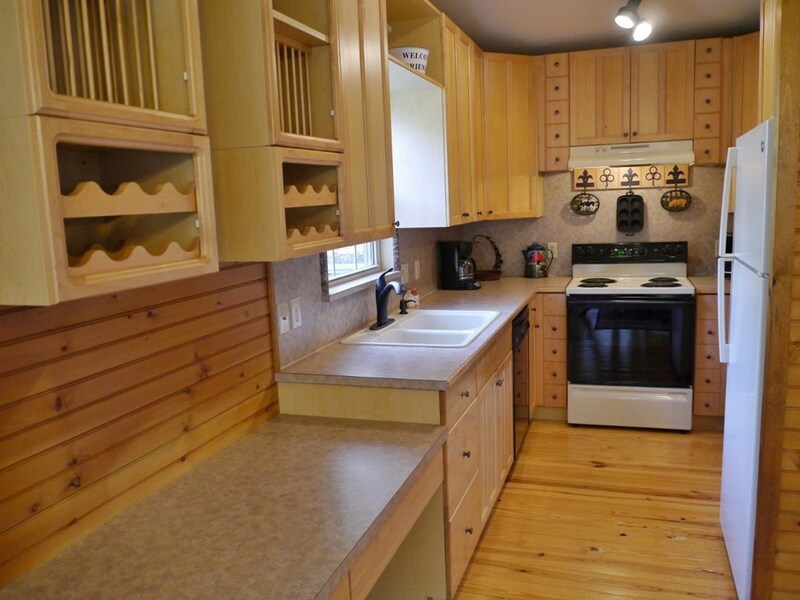 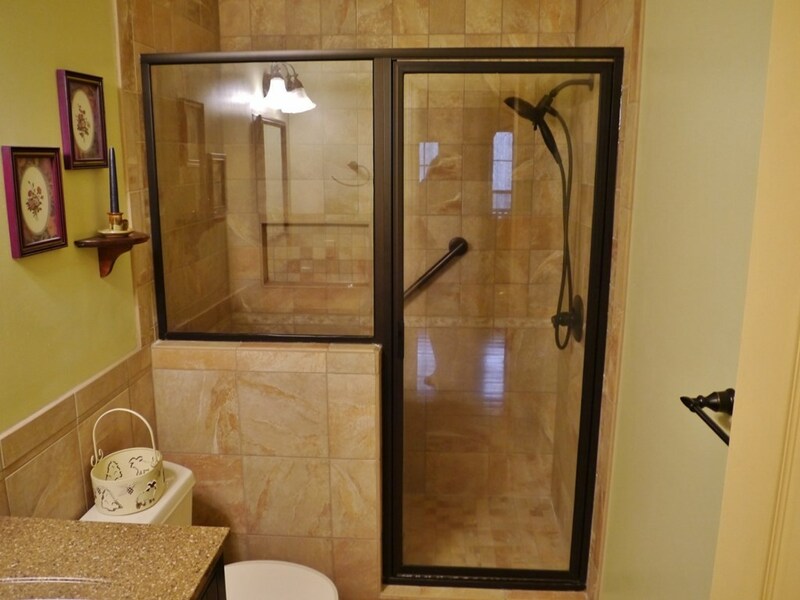 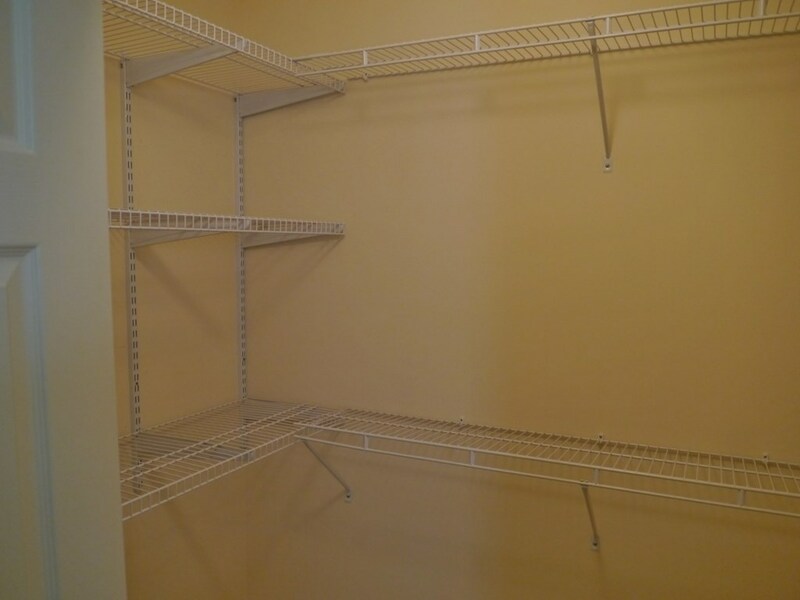 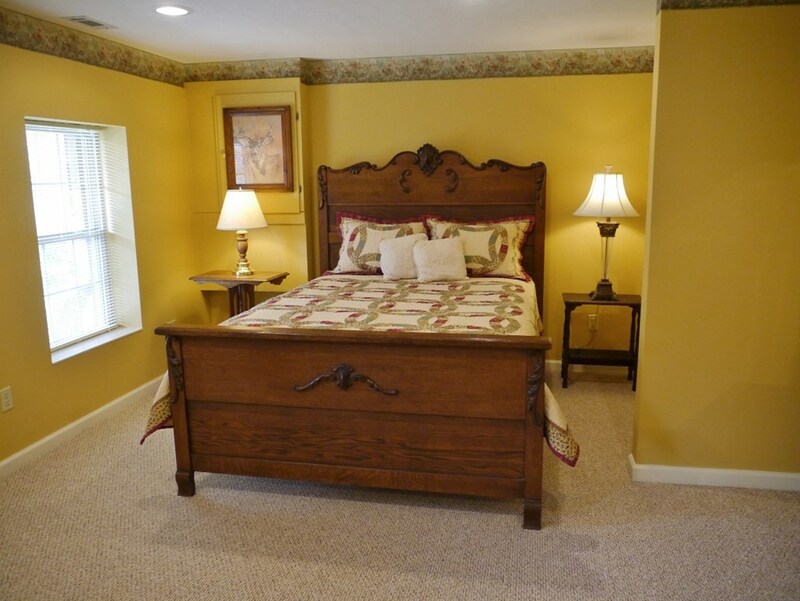 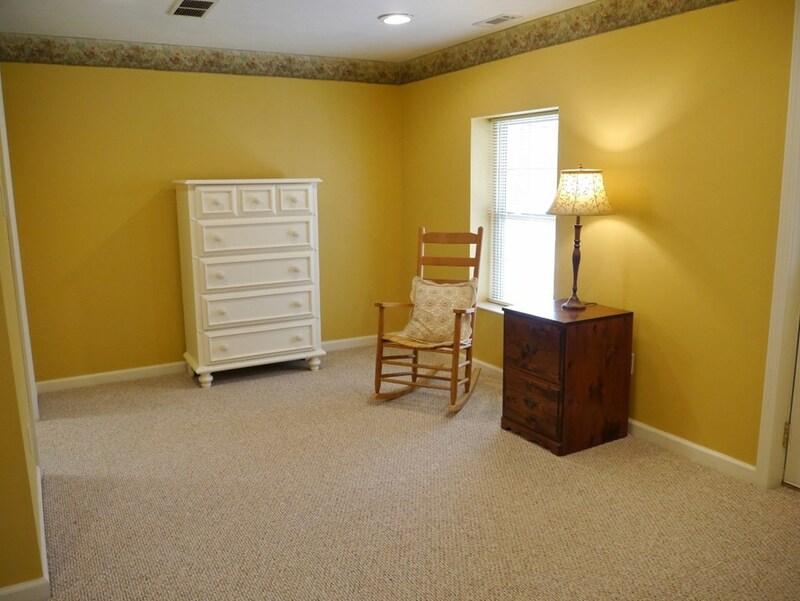 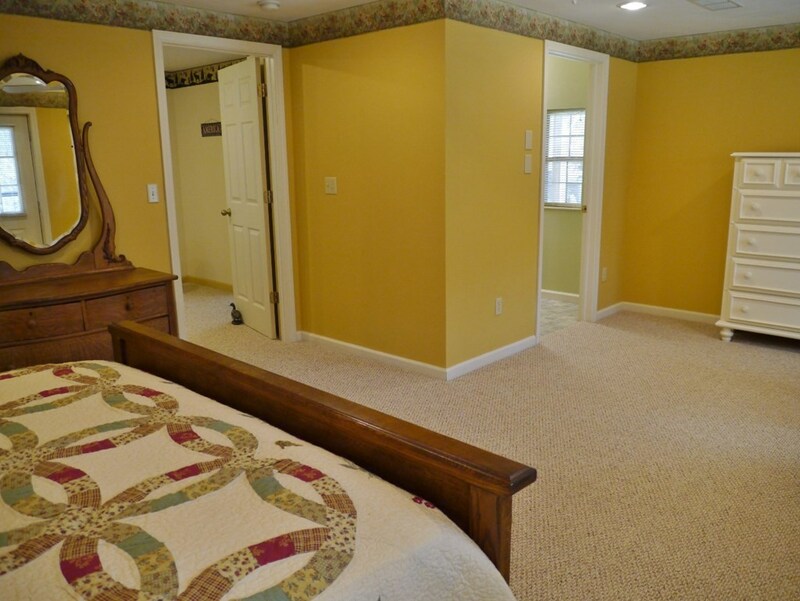 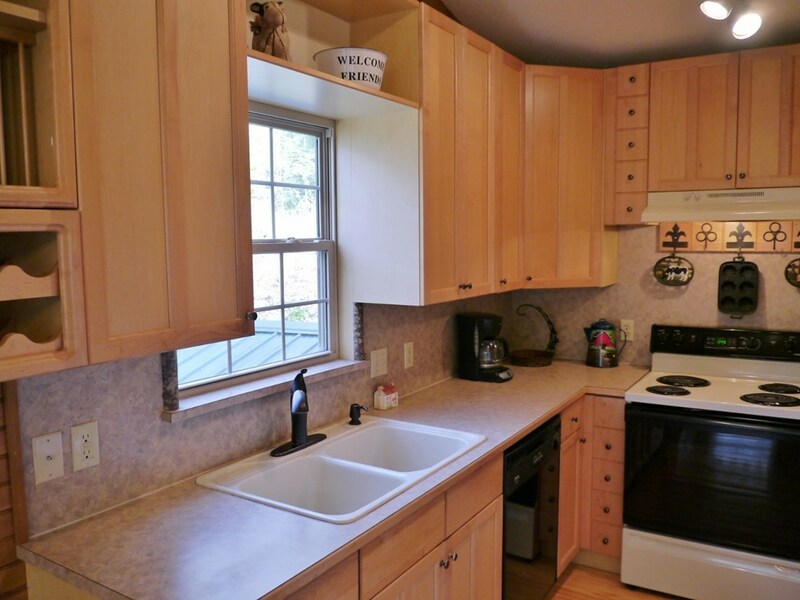 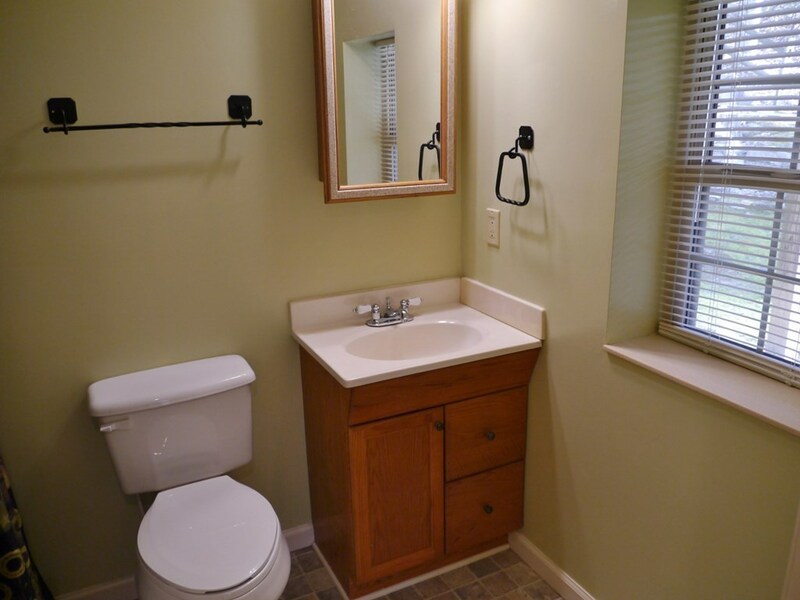 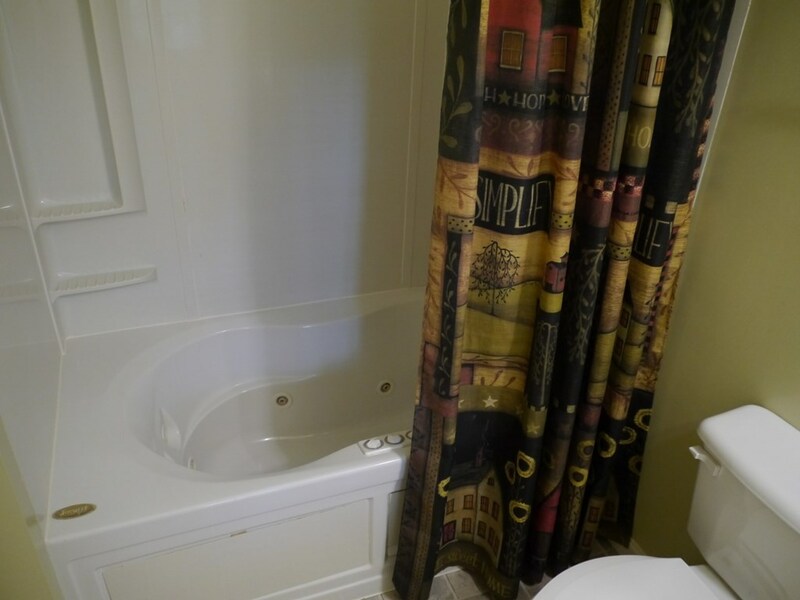 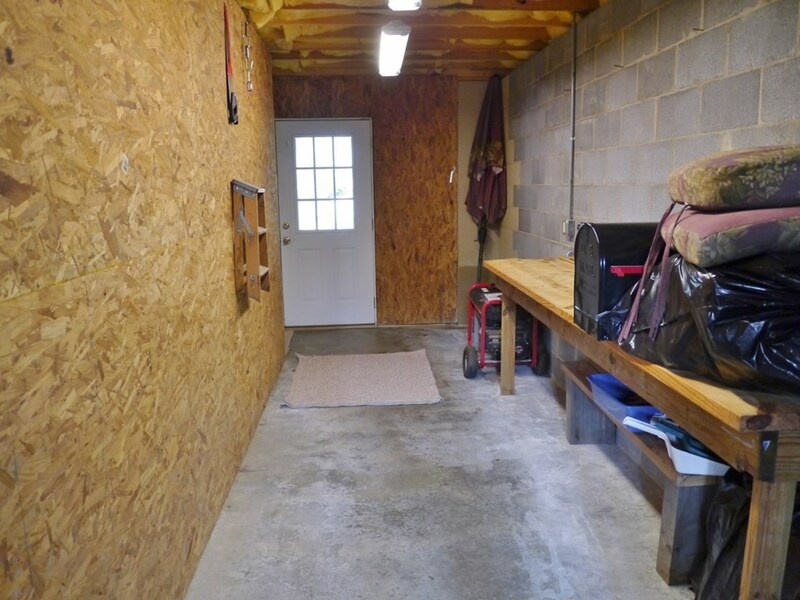 This meticulously maintained home is move-in ready, including the lovely furnishings. 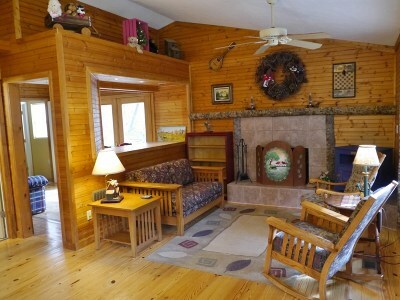 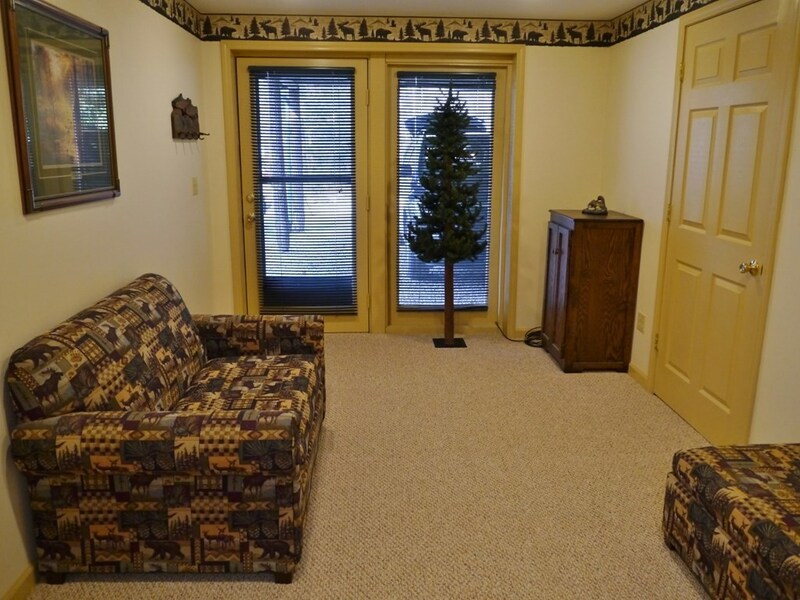 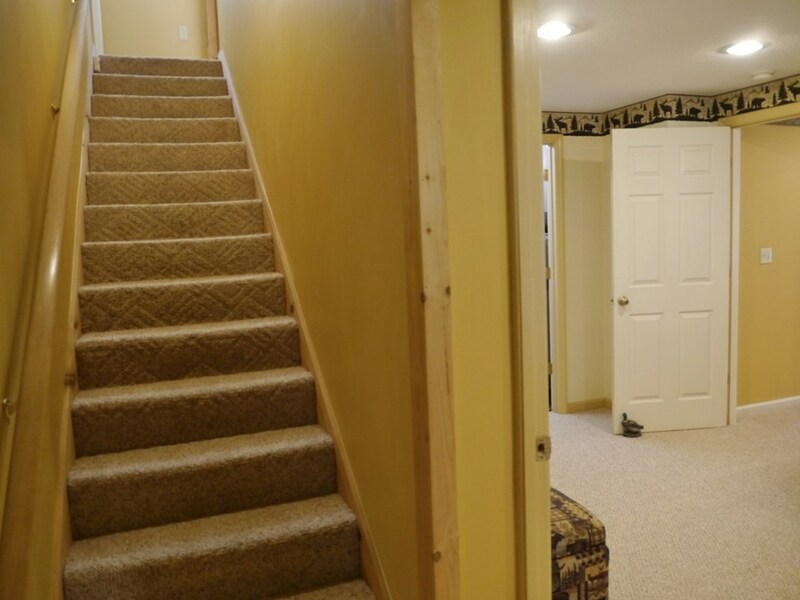 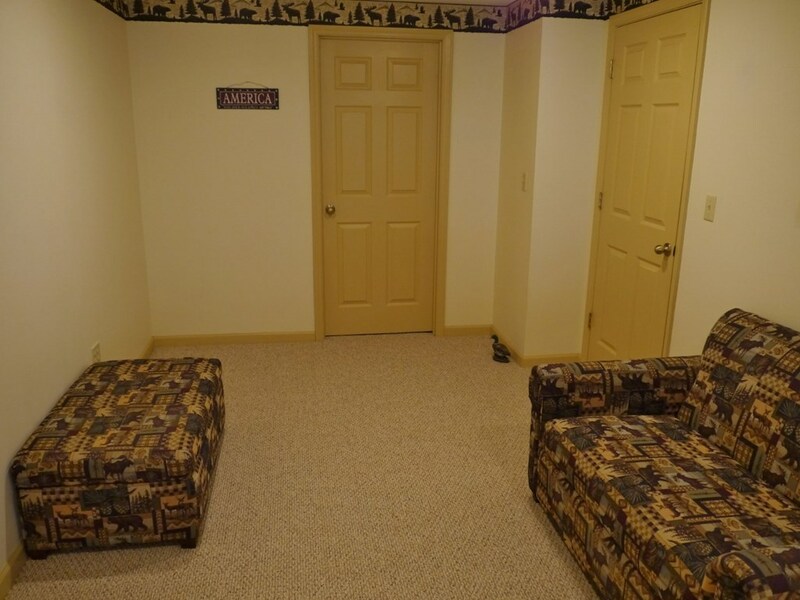 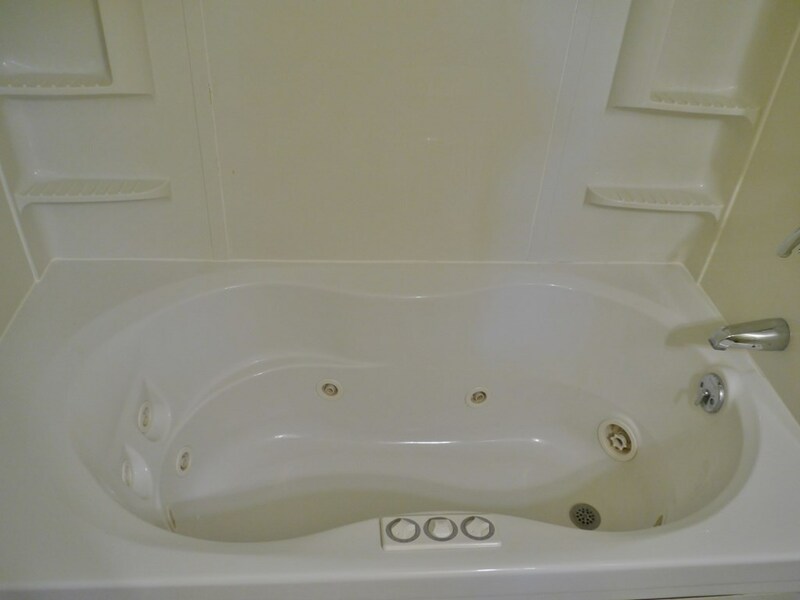 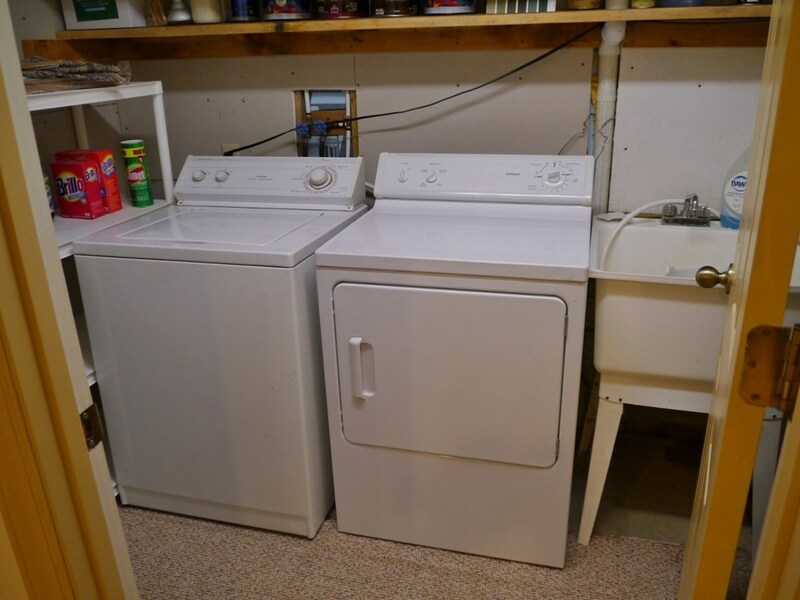 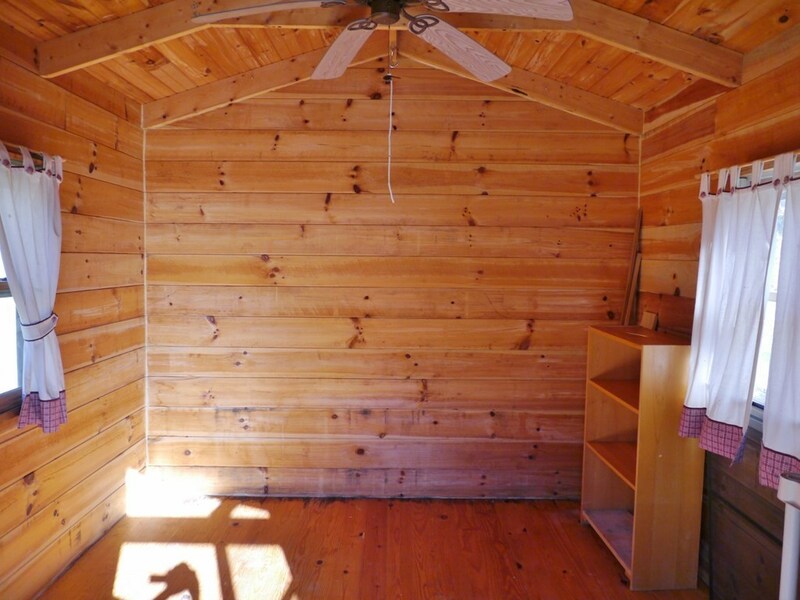 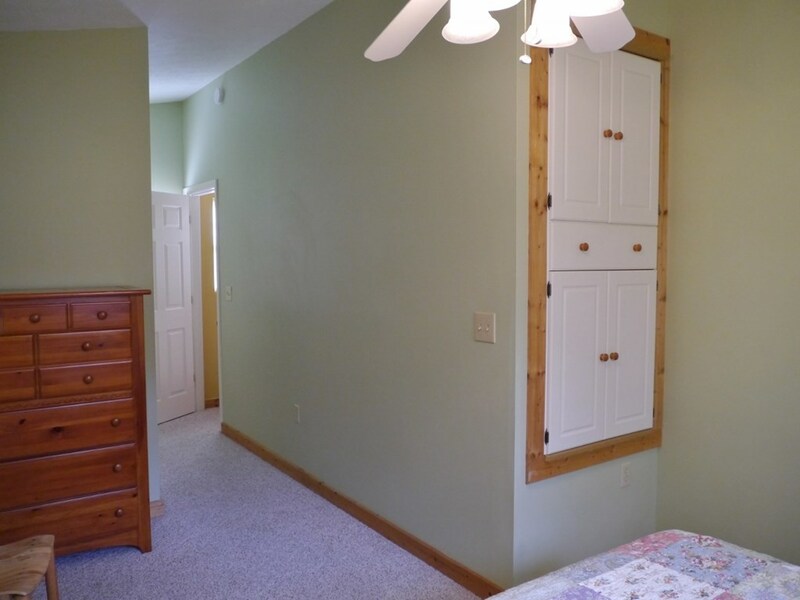 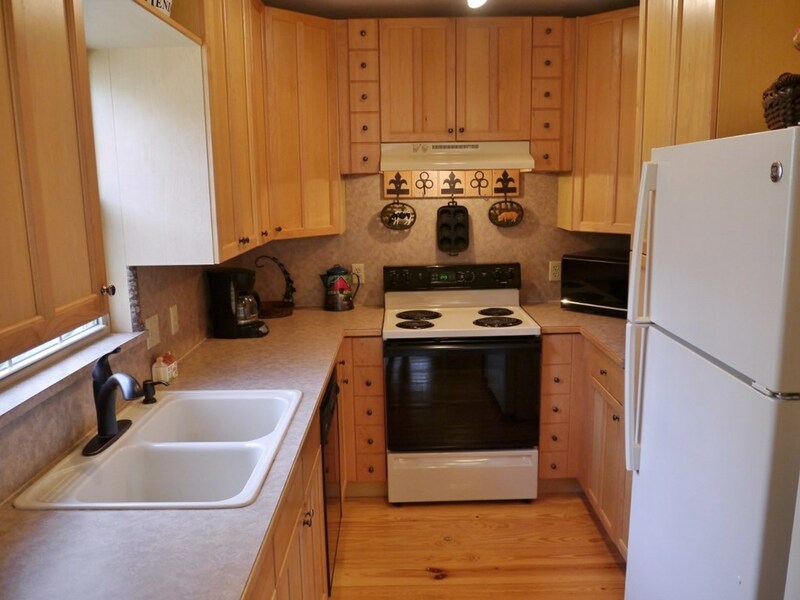 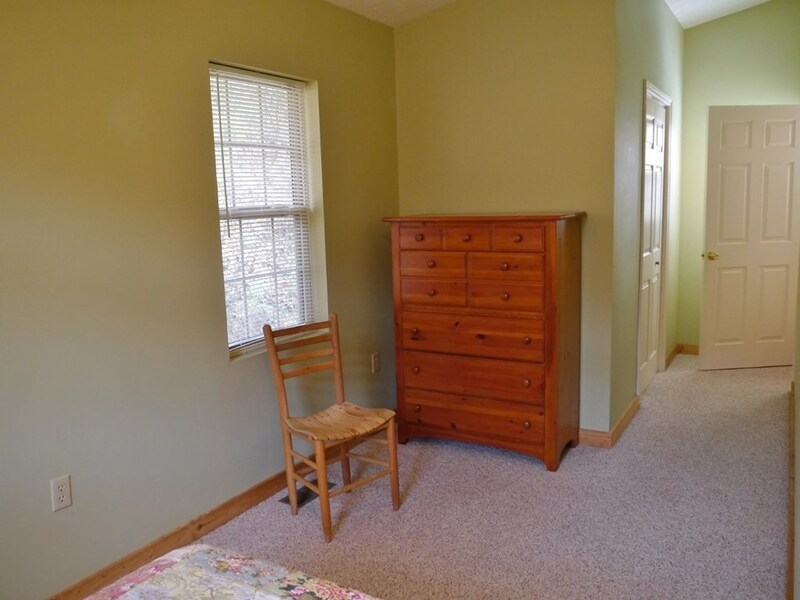 Pine flooring & walls, unique hardwood trim, wood-burning fireplace, vaulted ceiling, central heat/air...the list goes on. 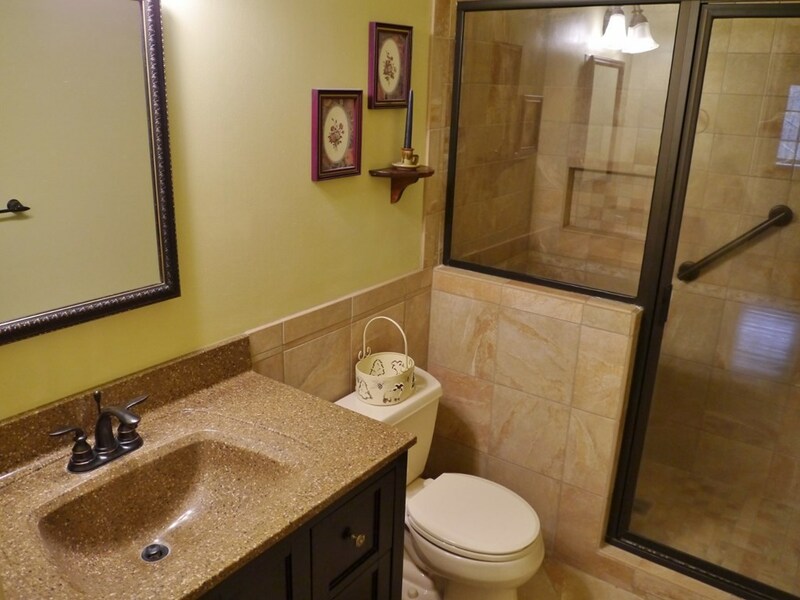 You'll appreciate an open floorplan on the main level, featuring kitchen, living/dining areas, bath w/beautiful tile shower, sunroom & attractive bedroom w/walk-in closet. 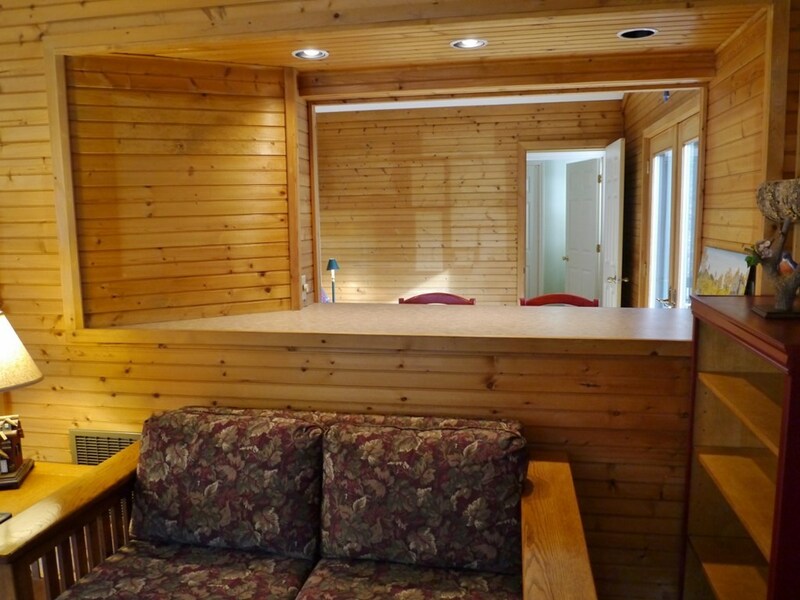 There's inside access to the terrace level which boasts a 2nd den/library, a BIG bedroom w/access to the terrace, en-suite bath featuring a Jacuzzi tub, a 2-car attached carport and a workshop. 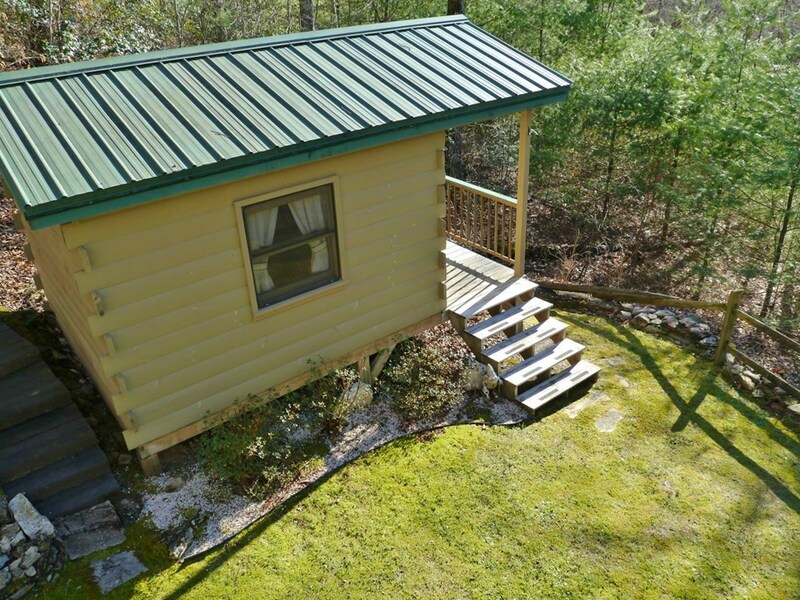 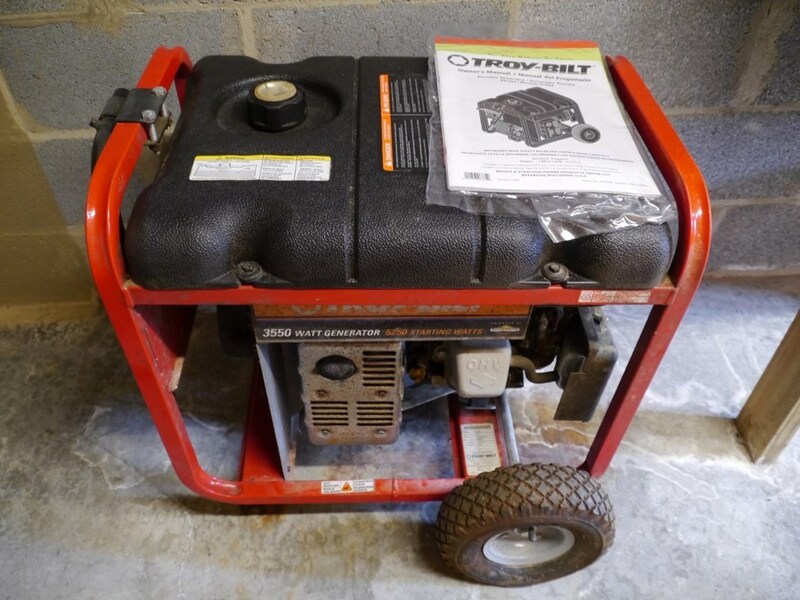 BONUS- mini log cabin w/HW floors & power! 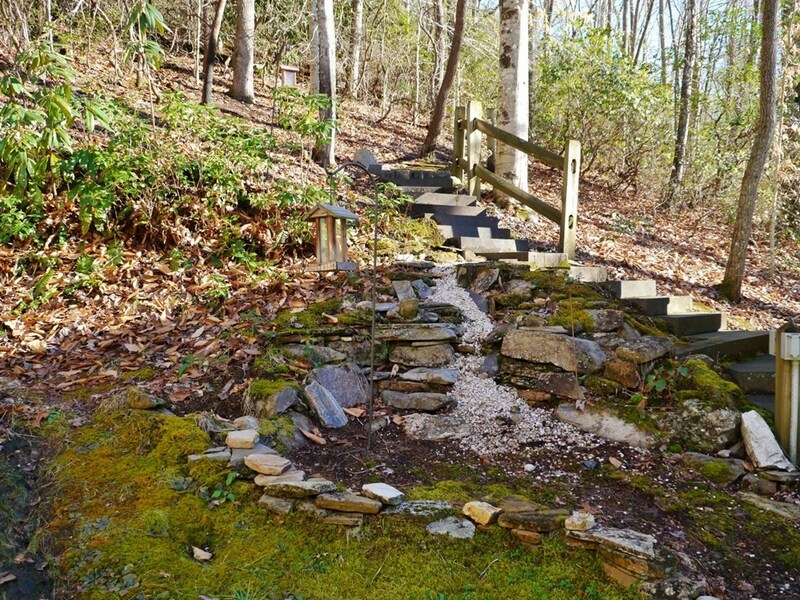 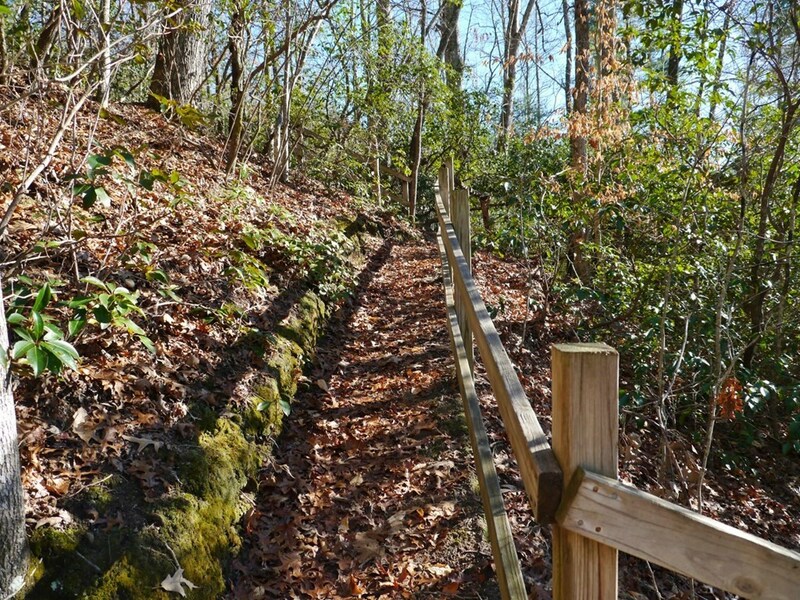 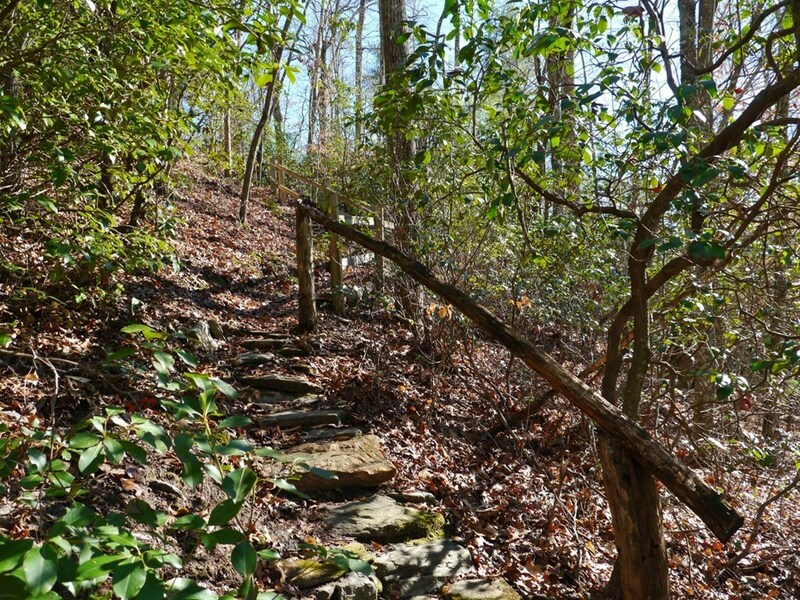 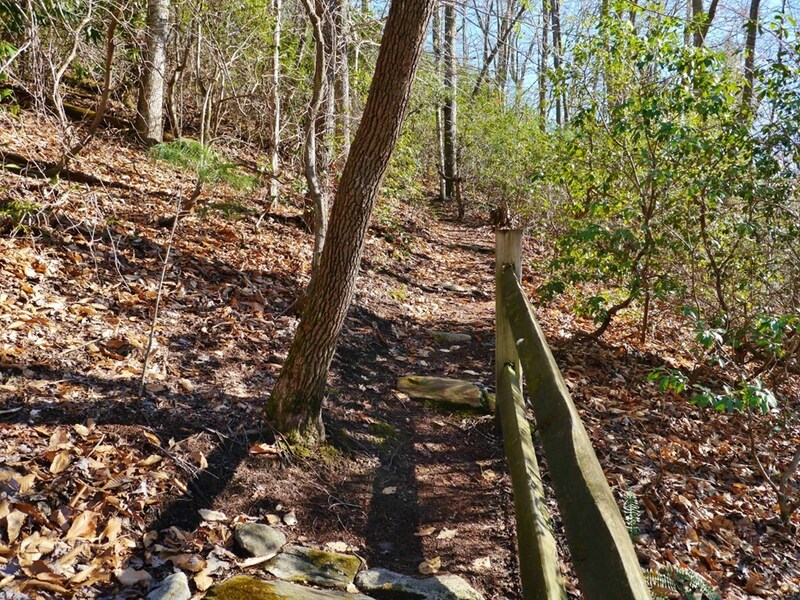 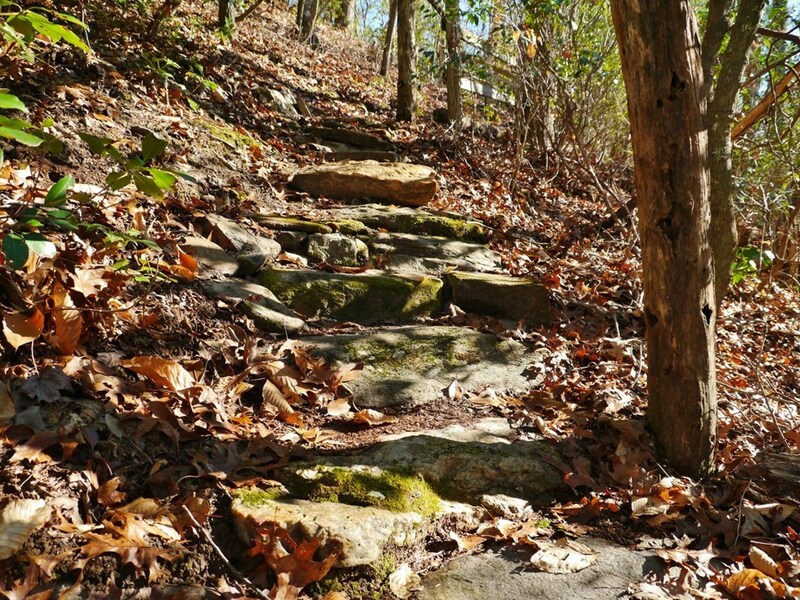 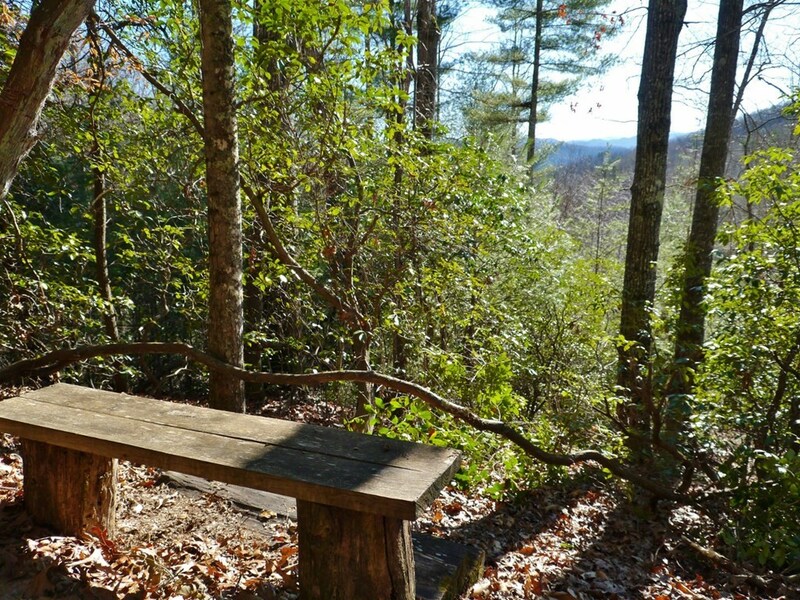 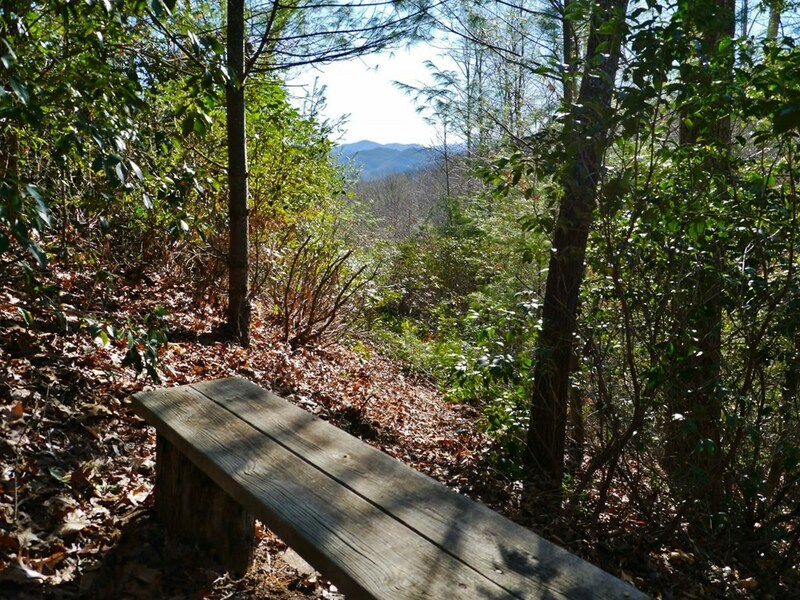 The grounds are park-like...OWN YOUR VERY OWN NATURE TRAIL featuring 5 sitting spots to hike to for stellar mountain VIEWS!